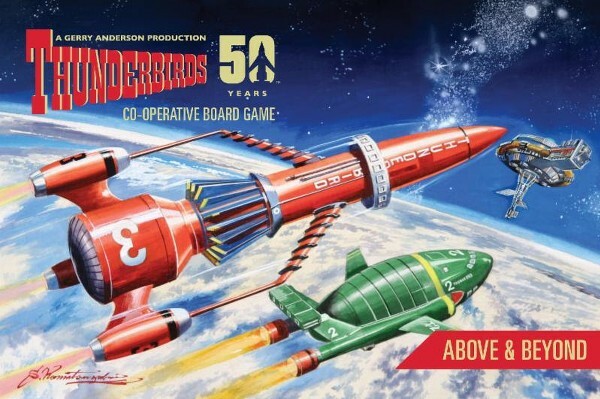 Today we're really pleased to announce Thunderbirds are go for Above & Beyond, the second expansion for Matt Leacock's award-winning Thunderbirds the 50th Anniversary Co-operative Board Game! 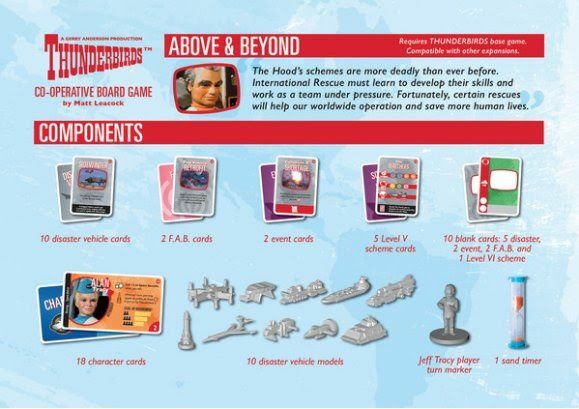 Thunderbirds: Above and Beyond is available exclusively on the Modiphius store! 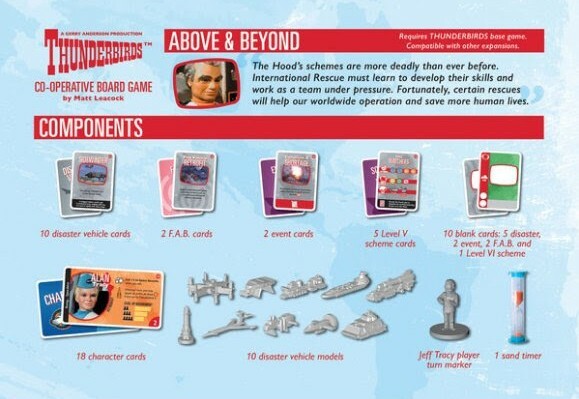 Following hot on the jets of Thunderbirds expansion #1 Tracy Island, Above & Beyond adds a whole new dimension to the game, with four new ways to play, new modes, new models, new cards and new vehicles to expand your International Rescue adventures, plus the option to customise your own unique games. But beware the Hood's schemes are also more deadly than ever! So International Rescue must develop their skills and learn to work together under pressure to thwart his dastardly wiles. Fortunately the completion of some missions and certain rescues will now help International Rescues worldwide operation and save even more human lives. We hope you'll enjoy this chance to explore the Thunderbirds: Above & Beyond expansion, which is available now and be sure to check out all our Thunderbirds page which features accessories and expansions like the Thunderbirds RPG, Tracy Island plus special dice and cards sets.